Wonderfully vibrant painting Stephen. Love the colours and great to see some of Cheetham Hill rich architectural heritage gems being captured. Be nice to see them fully restored. Some amazing gems in the area. Loved the Municipal Housing in Manchester post. I know many of these buildings very well and it made for a great read. Manchester has been described as the ‘shock city’ of the Industrial Revolution and if you lived in Ancoats it was, indeed, pretty shocking. 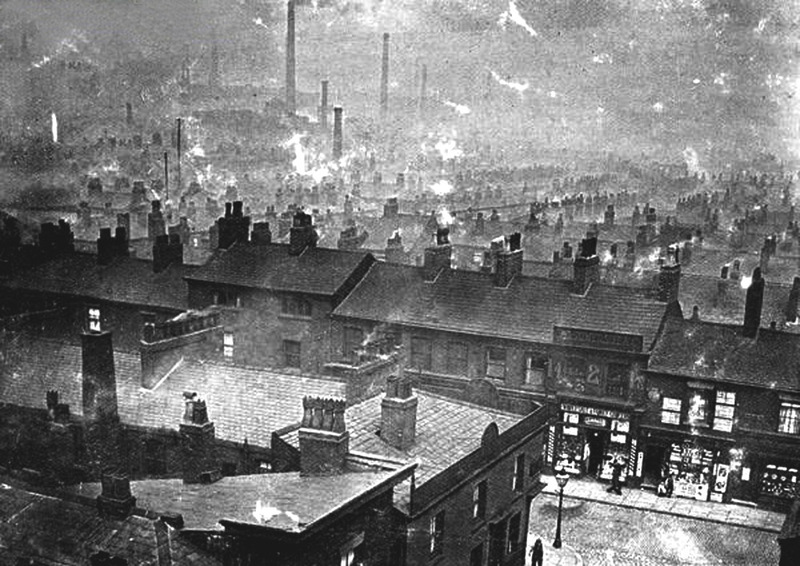 Ancoats was the world’s first industrial suburb – factories and workshops cheek by jowl with mean terraces of back-to-back working-class housing and courts. The City Council declared it an ‘Unhealthy Area’ and determined to clear and rebuild. A total of 1250 people were displaced and 239 dwellings demolished. What a charming building. Love the windows. Tucked away in Vauxhall down a poky alley behind the Zeitgeist at the Jolly Gardeners – London’s German pub – there are two small cottages that have stood the test of time. While much of Georgian heritage in the area has been swept away during the rapid urbanisation of the 19th century, these properties have survived. One is just a room deep and the lady who lives there pops her head out the door to tell us that is was built in 1710 or 1715. 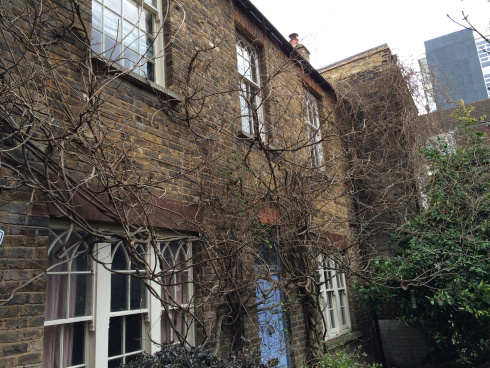 It was once one of a row of four cottages, but now just two survive – the other being larger and dating from the 1770s. Culcheth Rose Queen Day 1950. Image courtesy Margaret Young (Cowan). Culcheth Rose Queen Day 1950. Image courtesy Margaret Young (Cowan) . This is a photograph of the Culcheth Rose Queen Day in 1950, taken in Culcheth Hall. 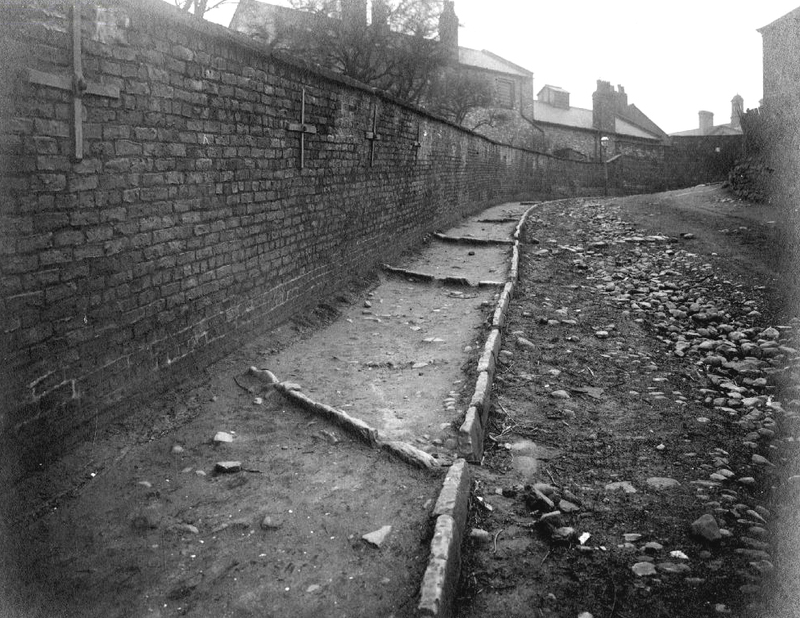 Culcheth Hall in the background and its boundary wall in the foreground in 1909. Image courtesy D. Dillon. Culcheth Hall stood to the east of Culcheth Lane, alongside the River Medlock in township of Newton (later Newton Heath) and was owned by the Byron family (of which the major Romantic poet Lord Byron was a member). 15th century Clayton Hall. Image courtesy P. Stanley. 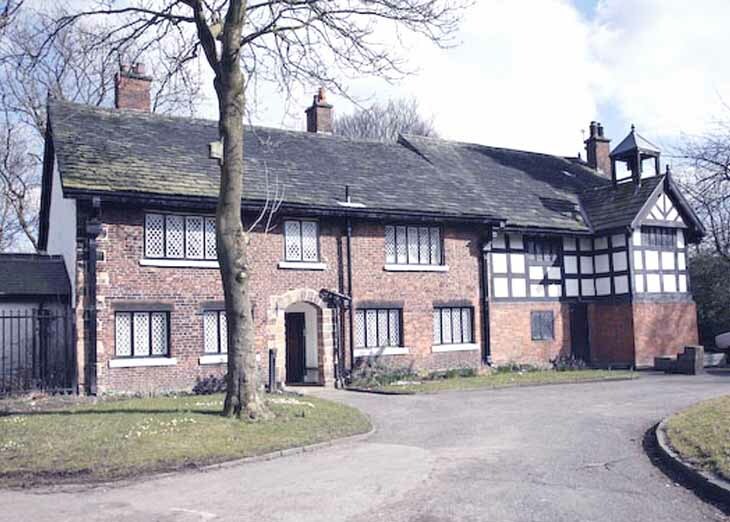 Little Sisters of the Poor (aka Little Sisters), originally a Roman Catholic religious institute for women, ran a Home for the Aged from Culcheth Hall, known as St. Mary’s. It closed in 1972 and was demolished (do you know the date?) some time after. The Little Sisters had been at Culcheth Hall since at least the 4th May 1897, when they obtained certification for Culcheth Hall as a place of worship. Culcheth Hall ceased to be a place of worship on 8th October 1976 under the Places of Religious Worship Certifying Act 1852 and Places of Worship Registration Act 1855. There is still one house of the order remaining in Manchester called St Joseph’s Nursing Home on Plymouth Grove West in Longsight. 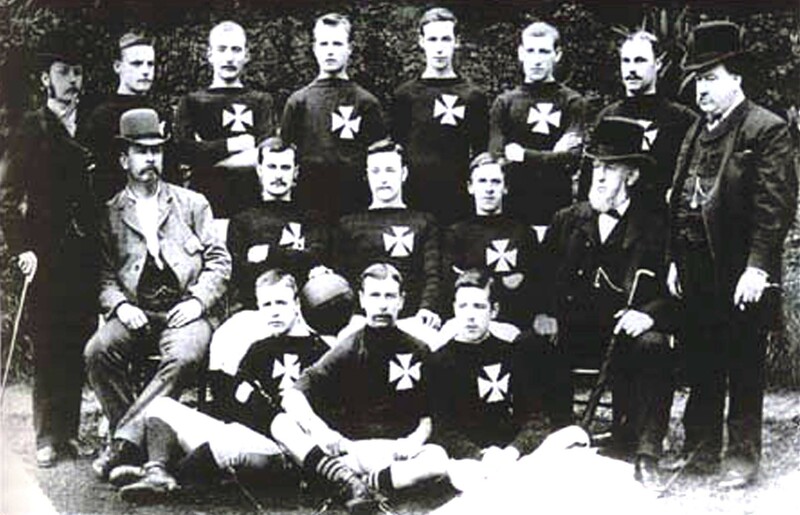 It was at St Joseph’s that the Little Sisters first started in Manchester. Keeley Close in Newton Heath. Image courtesy J. Shaw. 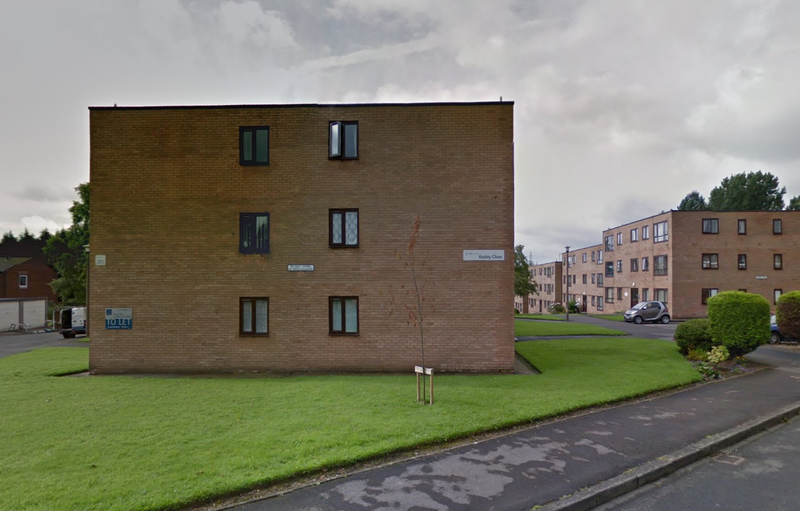 Today, the functional modernist units of Keeley Close sit on the site of Culcheth Hall, with only part of the boundary wall to the south side remaining. It’s a dubious distinction, but Manchester claims it nonetheless. The earliest teenage gangs in Britain formed in the sooty back alleys of Victorian Manchester. In a movement which appalled the niceties of refined society and terrified the middle classes, teenagers of the Industrial Revolution began forming ‘Scuttler’ gangs, and heading out to wreak havoc upon the streets of Manchester. Industrial Revolution Manchester was, in all fairness, ripe for just such an occurrence. An enormous influx of people seeking work had led to the development of unsanitary but close-knit slum districts in which existed a simmering street culture. These slums were often volatile, their populations fuelled by a booming pub trade and hyper-masculine attitudes which valued violence and viewed ‘otherness’ with suspicion. Fair fights were at that time a perfectly legal way of resolving disputes, and were often undertaken in public to the delight of spectators. The police may become involved should a fight turn foul, but usually the people of the slums were left to their own devices. Furthermore, slum life was often depressingly monotonous, and contained little opportunity for personal betterment. Brought up on violence, hemmed into close quarters with one another, and filled with pent up frustration, it is perhaps little wonder that ‘scuttling’ caught on in the way it did. 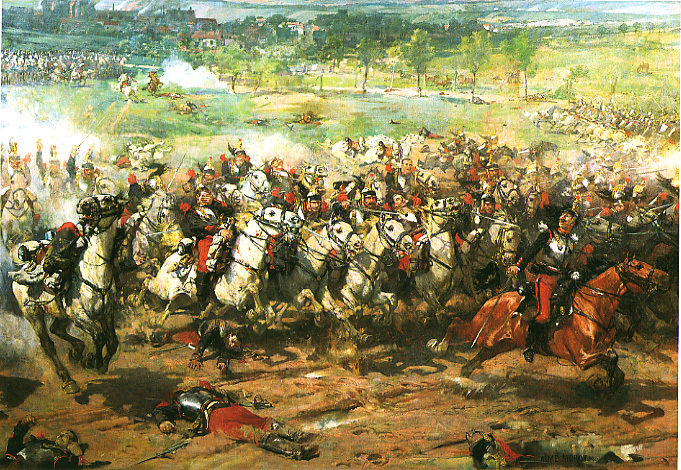 The Battle of Reichshoffeen 1870, by Aimé Nicolas Morot (1850-1913) watercolour of the Franco-Prussian War. 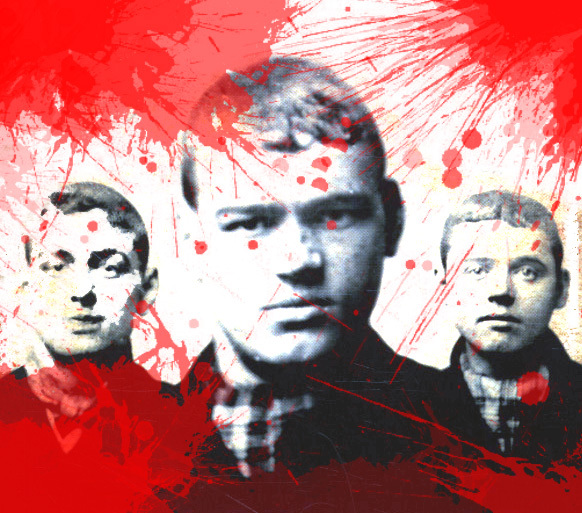 Gang culture broke out with a vengeance in the 1870s, and spread with startling speed through Manchester and the surrounding areas. There are those who believe that the movement had its origin in street recreations of battles in the Franco-Prussian War. These recreational battles gave an outlet in which inherent frustrations and indigenous prejudices (Catholic vs Protestant, My Street vs Your Street and so forth) could be taken out. Although initially ostensibly carried out in play, it did not take long for ‘sides’ to band together along lines based upon personal, geographical, and cultural identity and begin to battle their rivals in earnest. Thus formed the Scuttler gangs – Britain’s original hoodies. 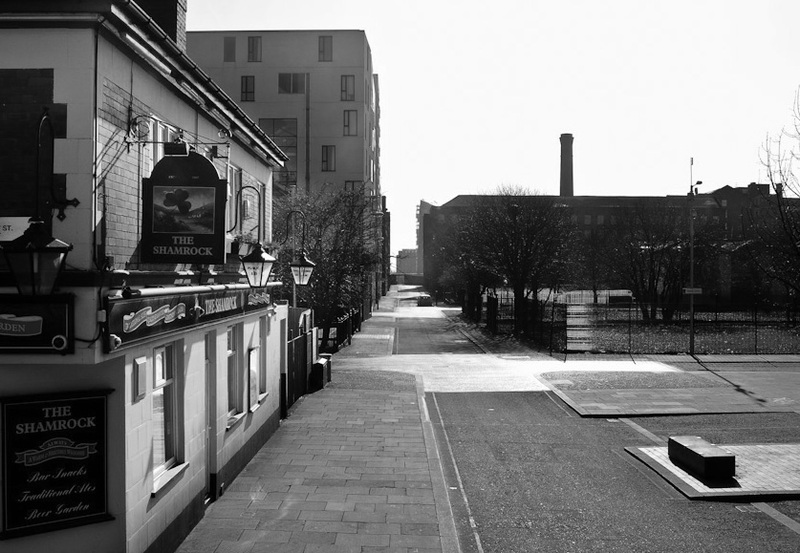 What Bengal Street looks like today, with the Shamrock Pub an mills amongst modern developments 2013. Image courtesy D. Boothman. Scuttler gangs largely identified themselves along territorial lines. Although complex cultural identities were developed within the gangs, their basic allegiances were geographical. This is reflected in the gang’s names. The ‘Bengal Tigers’, for example, came from the area around Bengal Street in Ancoats, and despised the ironically named ‘Angels’ of Angel Meadows. Much of the scuttle culture may have stemmed from a need for a sense of belonging and peer respect lacking in young people from families struggling with the demands of Victorian slum life. This need for belonging is exemplified by how quickly scuttlers both male and female took on an easily identifiable ‘uniform’ consisting of pointed, brass-tipped clogs, caps turned backwards, a donkey-fringe, bell-bottomed trousers, and neckerchiefs. The modern day scuttler replacing the belt buckle and smashed for loaded gun. Scuttler gangs also showed curious but significant differences to their modern counterparts. Modern gangs tend to be heavily involved with criminal enterprise, often related to drugs, and are often more interested in money and power than in gaining a sense of intrinsic belonging. 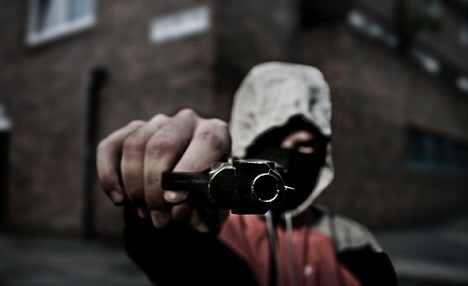 Modern gangs not only cause harm to themselves and the members of rival gangs, they cut deep gashes into the very fabric of society through their efforts to push their products by fostering drug addictions, leading addicts to turn to crime in order to fund their habits and places enormous pressure on health and welfare services. Scuttler gangs had far, far less of an impact upon those around them, displaying extremely little criminal enterprise and having nothing more than a cursory interest in robbery, extortion and so forth. Their primary occupation was defending their identities by battling other Scuttler gangs in vast brawls which could encompass as many as 500 people. When not buried within a mass of violently punching and kicking youths, scuttlers spent their time policing their territories and meting out swift, blunt justice to anyone whos face did not fit. Intimidation, beatings, and inter-gang brawling were the order of the day. Drug-pushing to civilians, gun crime, extortion, and the myriad other criminal practices carried out by modern gangs were never on the cards. Manchester Times (Manchester, England), Saturday, August 3, 1889; Issue 1671.
initiatives. The Salford Lads Club, for example, offered disaffected teenagers a stimulating alternative to gang culture – the primary attraction being football. Aiming its enterprise at young men of scuttler recruitment age, it was overwhelmed by the response – 700 young men turned up to join on its opening night. Several similar clubs opened with remarkable success. One such club from West Gorton is now known as Manchester City FC (although doubtless some fans would prefer that their club’s hooligan gang origins were kept quiet…). The scuttling days were over – but the seeds had been sown, and the way paved for other gangs and gang trends to rise and fall through the streets of Britain.